Mary Lou Zortman aka Grandma Z.
Frank’s Mom gave up her valiant fight with leukemia last Friday night. Through tears and grief, we remember her as she was, full of life and vibrant, and celebrate her life. 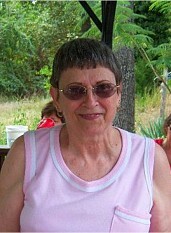 Mary Lou Zortman, born 08/30/1940 – 08/12/2011. This entry was posted on Sunday, August 14th, 2011 at 12:33 pm and is filed under Uncategorized, Zortman Family Happenings. You can follow any responses to this entry through the RSS 2.0 feed. You can leave a response, or trackback from your own site.